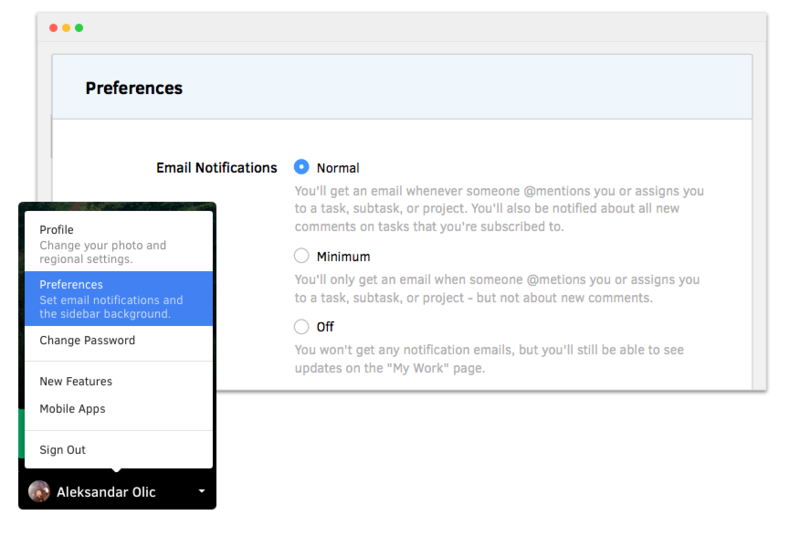 Now everyone can choose how much email they want to receive from ActiveCollab, plus preview files inside ActiveCollab and attach documents from Google Drive and Dropbox. Normal: you'll get an email whenever someone mentions you or there's a new comment on an item you're subscribed to. Best for people who want to know everything. Minimal: you get emails only for items that need your direct attention (someone mentions you, invites you to a project, or assigns you a task). Best for people who need to get things done. Off: all project related emails are off, so you'll only get emails regarding account administration. Best for people on a strict, zero-email diet. This setting only affects emails and not notifications themselves. You'll still get a notification in your My Work page and Updates, you just won't get an email when it happens. Note: daily recap email is not affected by this setting and can be turned on/off on its own. keep a centrally shared repository for files. 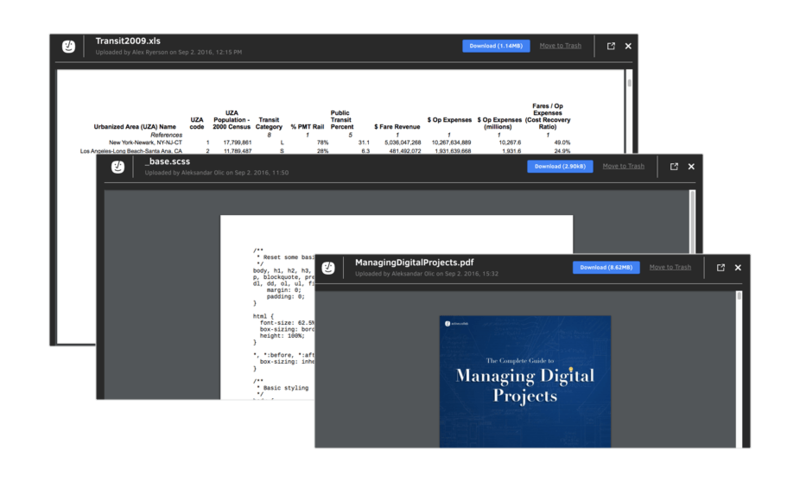 That's why now you can attach files from your Dropbox and Google Drive to tasks, notes, and discussions. This means you can organize files in folders in your Google Drive or Dropbox, and then attach them to ActiveCollab's task. This way, you get to keep your files organized plus make them available to your team from one central location. This is especially useful when you have documents you're updating on a daily basis. 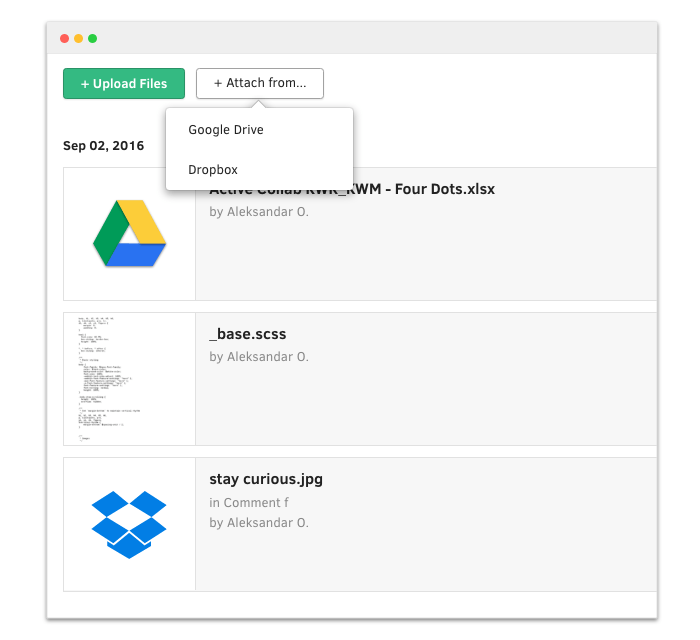 When you attach a document from Google Drive, ActiveCollab treats that attachment as a link and will open the file inside Google Docs. 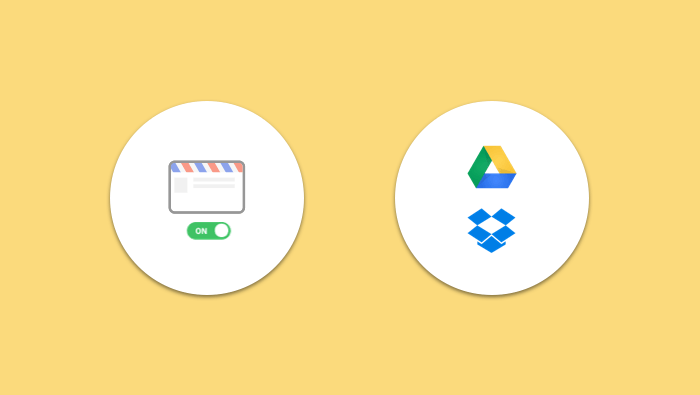 If you're using ActiveCollab cloud, you can save some space by using your Google's and Dropbox's account for storage. You know what would be amazing? Not having to download a file just so you can see what it contains. And now, you can do just that - see the whole document without downloading, right inside ActiveCollab. Someone attached a Word documents or an Excel Spreadsheet? No problem, ActiveCollab can open it. This feature doesn't have a setting - it just works. Because generating file preview requires a complex infrastructure, only cloud accounts are supported. When you create a new invoice in ActiveCollab, ActiveCollab will suggest the ID for the new invoice based on what the previous invoice ID was. For example, if your last invoice ID was INV-2016-35, ActiveCollab will suggest INV-2016-36 for the new invoice. You can also override a suggested invoice ID if you need. If you want, you can learn more how the invoice generator works here. It's a neat little feature you probably won't notice, but one that will make your accountant smile.